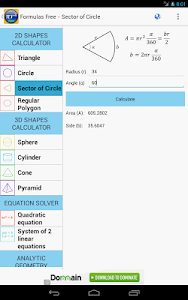 This app also has many tools to calculate the geometric shapes or find the roots of equations. 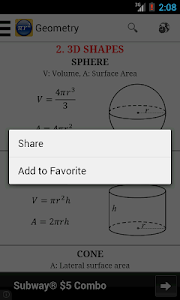 Users can also share any formulas with friends by many ways: email, message, or Facebook. 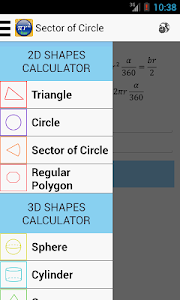 Not only for smartphones, this app is also suitable for tablets with compatible interfaces. - Multiple languages supported: English, French, Vietnamese, Chinese, Spanish, Japanese, German, Korean, Russian, Portuguese, Italian, Greek, Thai, Indonesian, Arabic, Hindi, Bengali, Malay, Turkish, Dutch, Polish, Romanian, Persian, Ukrainian, Azerbaijani, Swedish, Hungarian, Serbian, Khmer, Hebrew, Bulgarian, Czech, Kazakh, Uighur and Uzbekistan (36 languages totally). 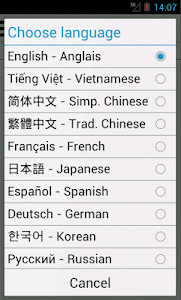 Users can change between English and other languages by setting in the language button. More languages to come soon. 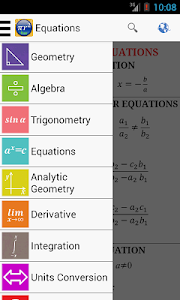 - Favorite folder: users can save frequently used formulas into this folder. 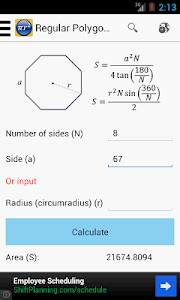 - Tools and calculators to convert measurement units, including: Weight, Length, Area, Volume, Speed, Time, Temperature, etc..
- Add your own customized tools in "Tools" section. 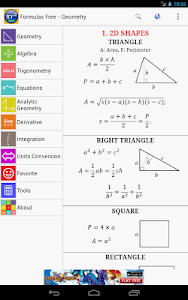 Maths Formulas - a must-have app for your smartphones and tablets. - Reduce app size by putting all language packages to server. Users can choose to download other languages after installing the app. 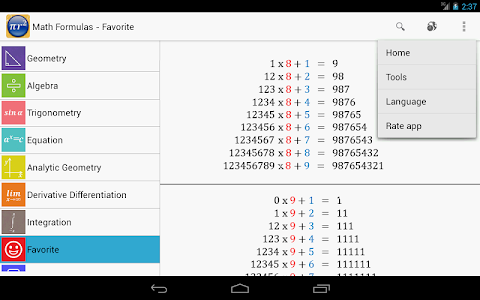 - Fix typos and bugs. 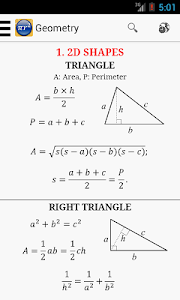 Similar to "Maths Formulas Free"